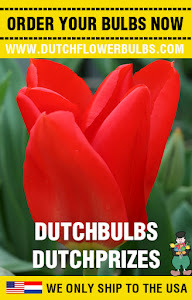 We carry the finest imported Dutch flower bulbs packaged in quantities so you can plant many flowers, for a reasonable price, to create your own Dutch flower garden like the Dutch gardens in Holland. All of our bulbs are top quality and top-size, there are no hidden handling charges. We do offer high quality flower bulbs like Tulips, Daffodils, Hyacinths , Crocus and many other varieties of flower bulbs. For any questions on additional varieties, Please send us an e-mail or order your dutch flower bulbs online in our webshop. Currently, we only ship within the United States. Should any variety be sold out, we will replace it with an equivalent or better variety unless you specify "no substitutions".